Guest blogger Charmaine Zammit will be covering the upcoming Curatorial School, which is an integral part of the VIVA – Valletta International Visual Arts Festival, running from the 31st August to the 4th September. In her first-ever post, Charmaine explains the aim of the Curatorial School. Instead of going on a well-deserved holiday, most visual artists, curators, academics and students will be staying close to home this September to attend the Valletta International Visual Arts Festival. The Valletta International Visual Arts (VIVA) Festival has created a platform which is unique in Malta; a platform in which visual artists and cultural consumers can meet up and discuss contemporary art and culture, which is why Visual Arts aficionados, both local and foreign, have long blocked out the first week of September on their calendars to attend the VIVA Curatorial School! 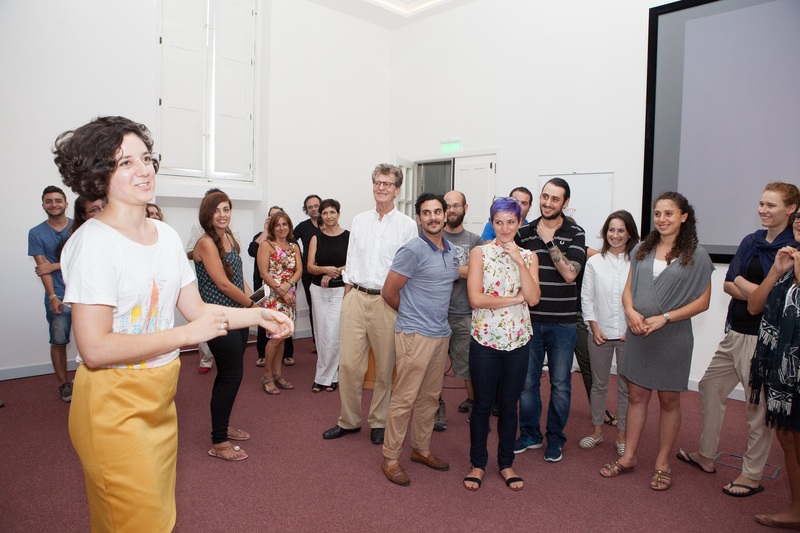 In a few weeks’ time (31st August – 4th September, 2015), these people, hailing from all walks of life, will come together because of their common love of the Visual Arts, and to discuss interesting subjects during the second edition of the VIVA Curatorial School, an educational initiative hosted in collaboration with the Valletta 2018 Foundation, St James Cavalier Centre for Creativity, and the Faculty of Education (University of Malta). To further promote direct interaction between curators and students, in response to last year’s feedback from students, Artistic director, Dr. Raphael Vella has said that this year’s Curatorial school will offer more hands-on workshops as well as lectures delivered by local and international artists and educators. Vella hopes that this event will bring about a transformation in the attitudes towards art exhibitions and contribute to the professionalization of the Maltese Art scene. Consequently, this may lead to an understanding of the commitment that a creative person goes through while also raising awareness that an art exhibition serves more than just a public space for the worship of an artist’s ego and the celebration of predetermined products. As a visual artist, art educator and lifelong learner, I look forward to embarking on a journey of learning experiences at VIVA Curatorial School 2015, while listening to and mingling with other local and international visual artists, educators, curators, academics and students. I have no doubt that the experience will provide a myriad of benefits through discussions, healthy arguments and contradictions which are expected to naturally arise during such an interactive event. For further details on this annual Visual Arts-learning experience, please visit the VIVA official website.